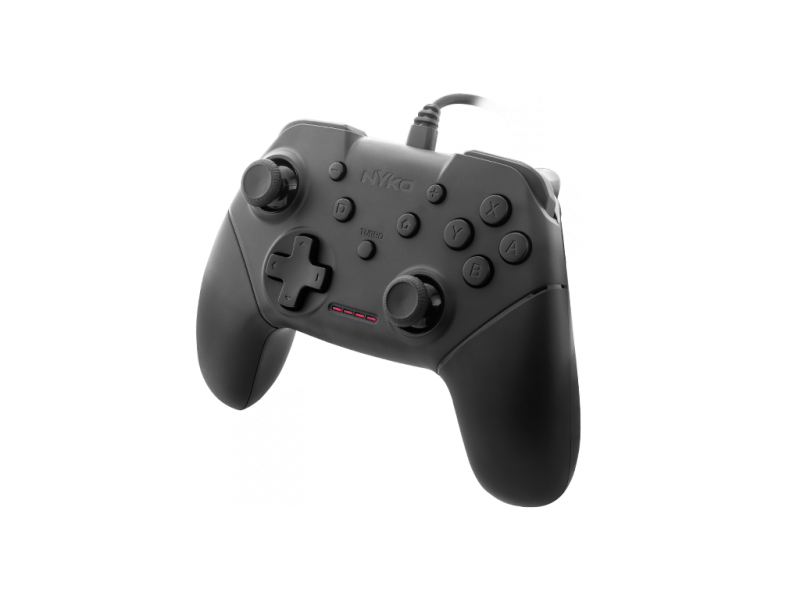 There isn’t quite as popular of a company for third-party gaming accessories as Nyko. 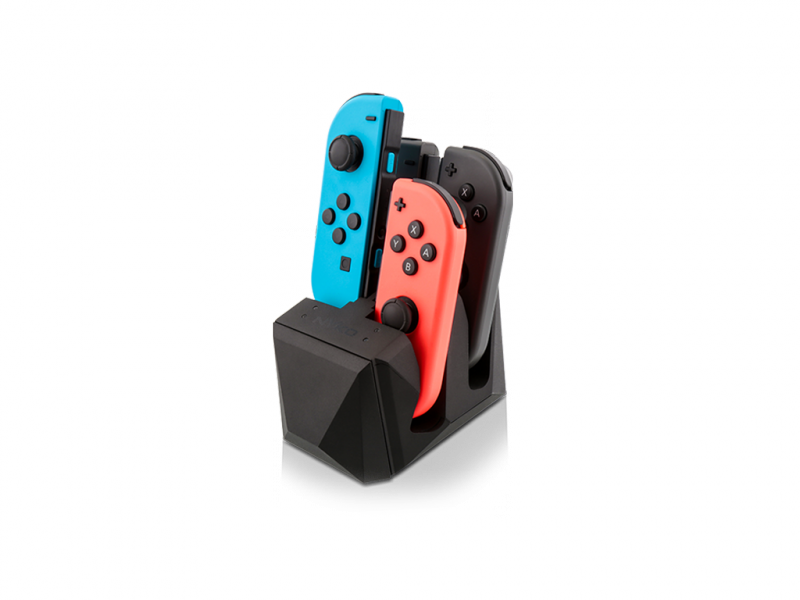 With the Nintendo Switch currently taking the market, the company has decided to take it upon itself to release a fancy set of handy Nyko Switch accessories for the portable home console device. 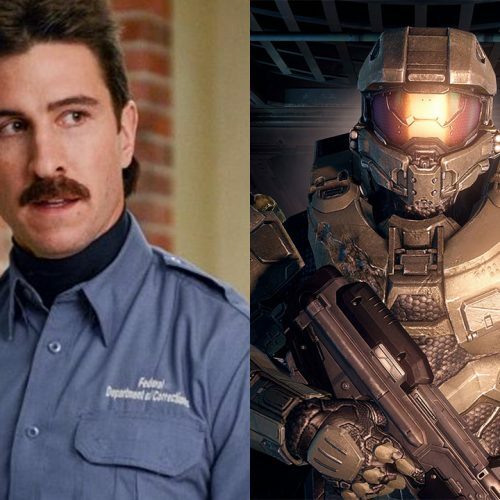 And we got to try them personally at E3. If you own multiple pairs of Joy-Cons that you can’t seem to charge all at once, then the Charge Block is for you. Able to connect two pairs of Joy-Cons at a time, you can plug this into the Switch dock or a wall outlet. Better yet, you can connect two of these Charge Blocks to charge four pairs all at once! Let’s continue on with the other Nyko Switch accessories. What if you own the Pro Controller? There is also one for that as well, the Charge Block Pro. It’s able to do everything the Charge Block does for the Joy-Cons, including the ability to connect two together. For the ultimate on-the-go experience, the Power Shell case is where it’s at. It’s thin, sturdy, and allows for longer play sessions thanks to the 6000 mAh battery and discrete Type-C charging cable in the case. There is also a stand to play in tabletop mode and slots to put in 16 Switch cartridges or 15 cartridges and two microSD cards. One of the flaws of the Nintendo Switch is that you’re unable to use the built-in kickstand while charging thanks to the charge input being on the bottom. 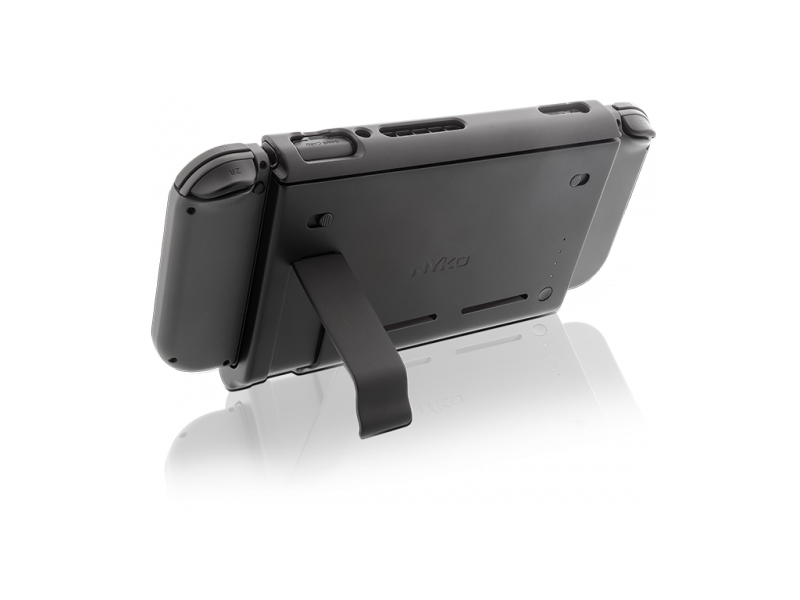 Nyko’s Charge Base solves this problem by being an external charger and providing a good angle to play on for those long tabletop gaming sessions. 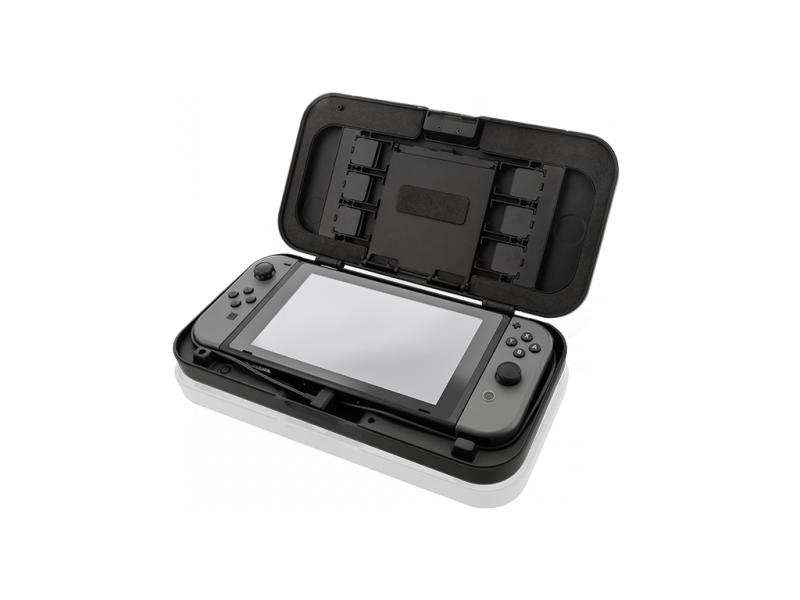 In addition, the base provides two slots to charge a pair of Joy-Cons you can save for later. You can also charge the base while using it. Nintendo is doing a very questionable thing with their online service by making voice chat go through a SmartPhone App rather than through the system itself. 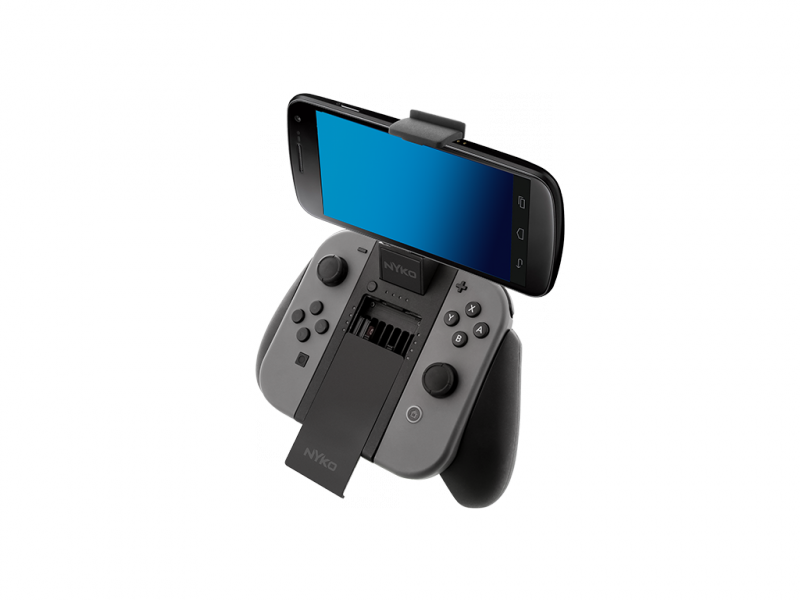 The Clip Grip Power is meant to help in that aspect by providing a space to place your smart device with your Joy-Cons as they charge. This will be replacing the regular Joy-Con Grip and will provide spaces to put in 7 game cartridges and 2 microSD cards. The Switch does not have the best battery on the market, so if you’re going somewhere that doesn’t have any wall outlets, the Power Pak might be your best bet in the Nyko Switch accessories line. This 5000 mAh battery doubles the power life of the Switch and easily fits around the system and Joy-Cons. It doesn’t block any ports on the device and comes with an arguably better kickstand than what’s on the Switch. The Joy-Cons by themselves are tiny and may not be ideal for those with large hands. 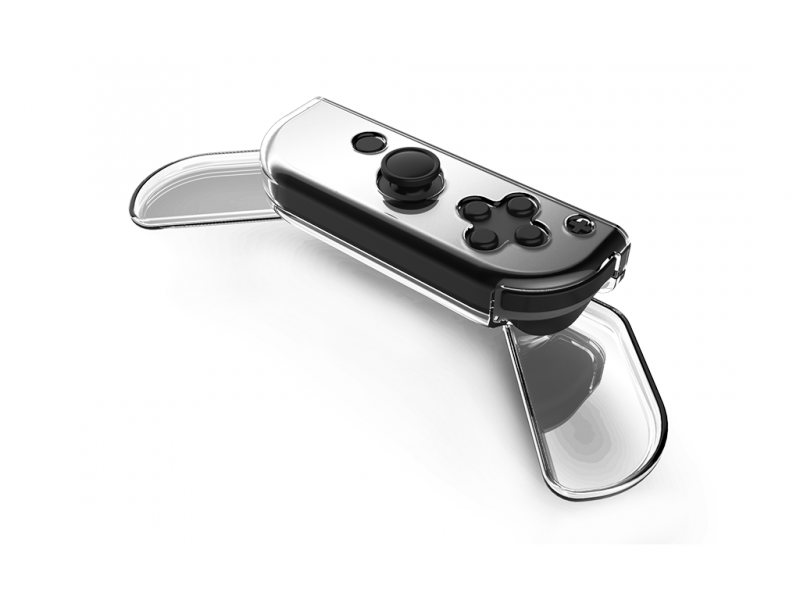 Nyko’s Swivel grip adds additional grip to the Joy-Cons and the grips can be folded up from behind to save space. No need to remove these if you’re planning on using a Joy-Con grip or the Switch in handheld mode. The Pro Controller is one of the best controllers on the market right now, but at a costly $69.99, it’s not for everybody’s wallet. 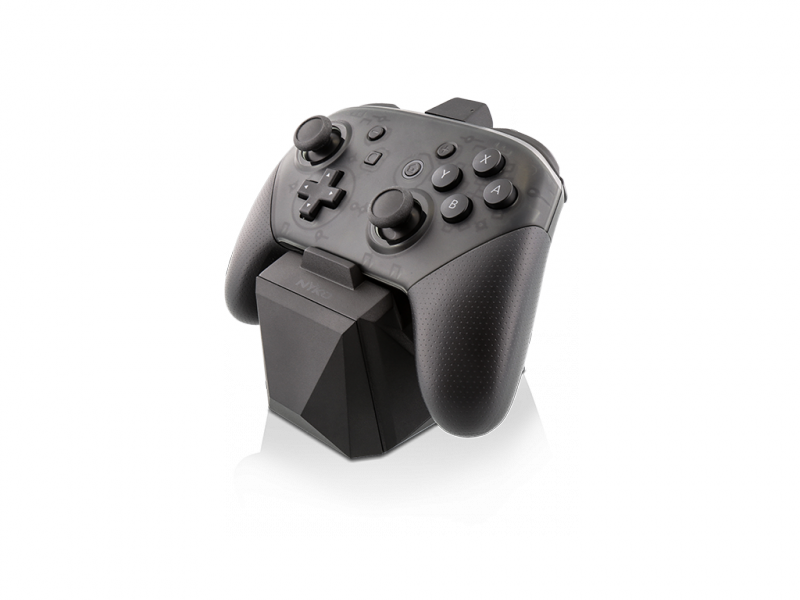 Thankfully the wired Core Controller is a less-costly investment and provides a similar comfort and grip on the Pro Controller. Only things that are missing are the NFC functionality and gyroscope, although they aren’t necessary. It does come with a customization turbo button to allow any face button to have a turbo feature. What might be the hottest item on this list is the Portable Docking Kit. 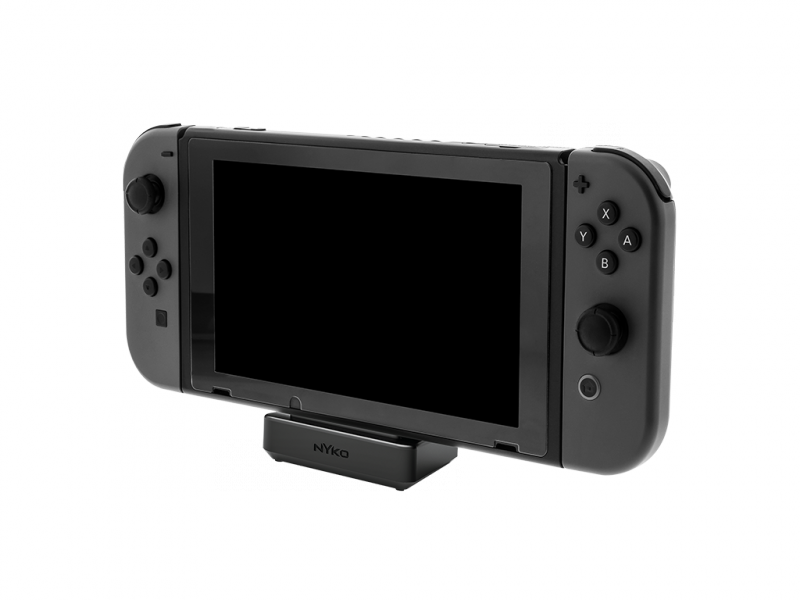 The standard Switch Dock is large, bulky, and difficult to take with you on trips. If you want to get a separate one for another TV, it will cost you up to $89.99. 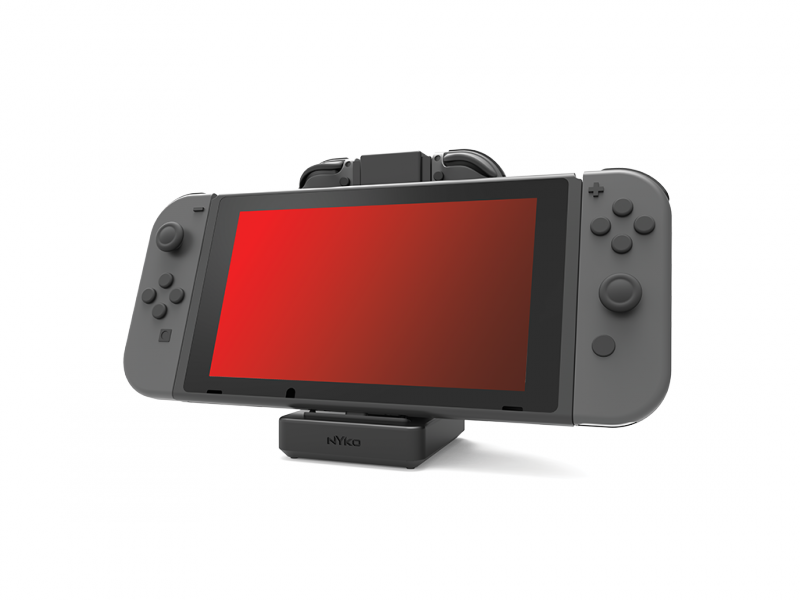 However, Nyko’s Portable Docking Kit is a much less costly way to connect your Switch to another TV. Best part, this item is 100% less likely to scratch your screen! These are just some of the Nyko Switch accessories that will be available for the Nintendo Switch. 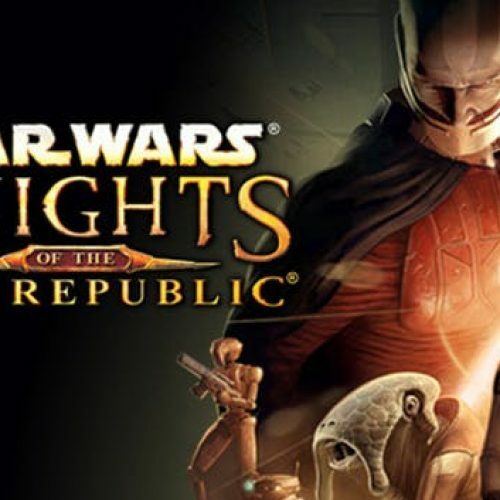 To find out more about these items, be sure to visit Nyko’s website for additional details such as release dates.